Perhaps one of the most frequently asked questions that Piero and Elena receive during the course of the year: I am traveling with grandparents, young children, pre-teens or young adults (you choose), is there anything I can do with the entire family? Their response is an unequivocalble, YES. The whole idea behind doing something as a family is to create quality time and lasting memories. 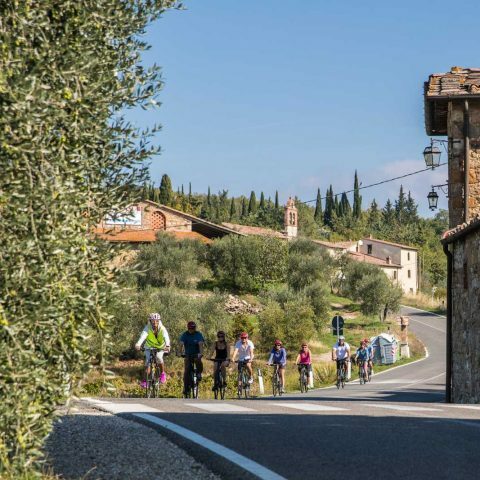 Local guides Piero & Elena, had one goal in mind when they decided to combine their intimate knowledge of Tuscany with a fun adventure to create the “Family Biking Tour“, and that was get families living the beautiful fresh air of the fabulous Tuscan landscape. Using a customized itinerary, which will satisfy even the most bizarre combination of ages, expectations, and goals, they offer something special for everyone who participants and that includes quality time and unforgettable memories. The bonus to all of this? It all happens while you are on holiday in Tuscany, Italy. What can I do with my family and kids in Tuscany? 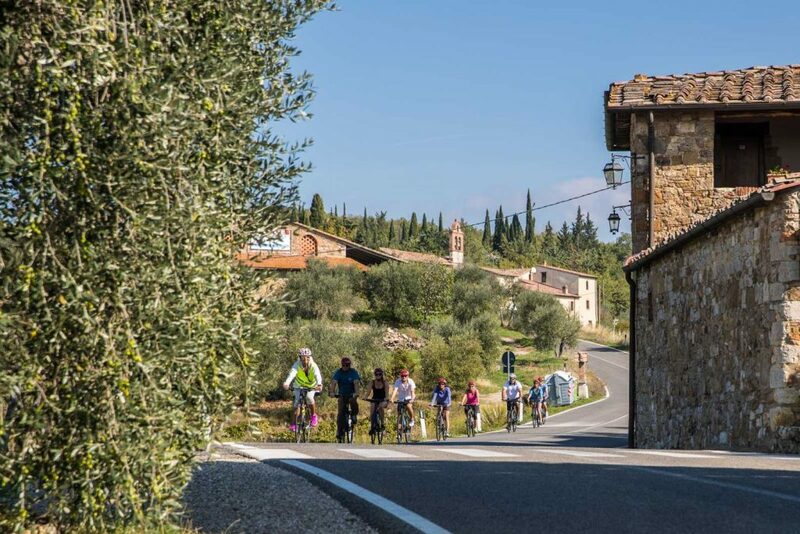 Set in the stunning hills of Tuscany, the quiet back roads will take you deep into the heart of the region, where you will find rows and rows of grapes, groves of olive trees, yellow fields of sunflowers and lots of opportunities for family photos. This is where you want to be. The itinerary includes all the same fabulous standard services as their other tours but they concentrate even more on enjoying the journey just as much as the final destination. Their brand new exclusive itinerary works with all ages, skill and stamina levels. 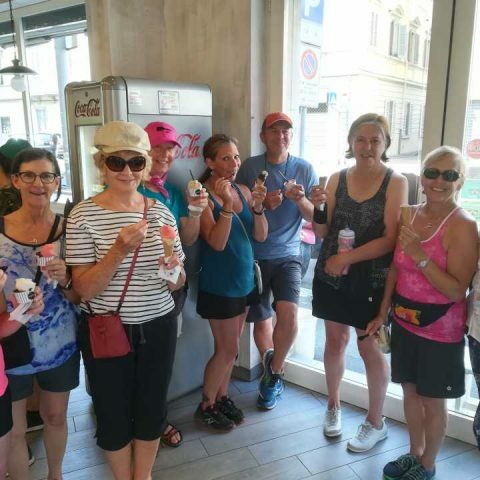 In fact, it is guaranteed to be the event that the family remember the most as you explore Tuscany and Florence, Italy an area well-known for its medieval towns, Roman ruins, artistic masterpieces and, of course, fabulous food, wine, and gelato. 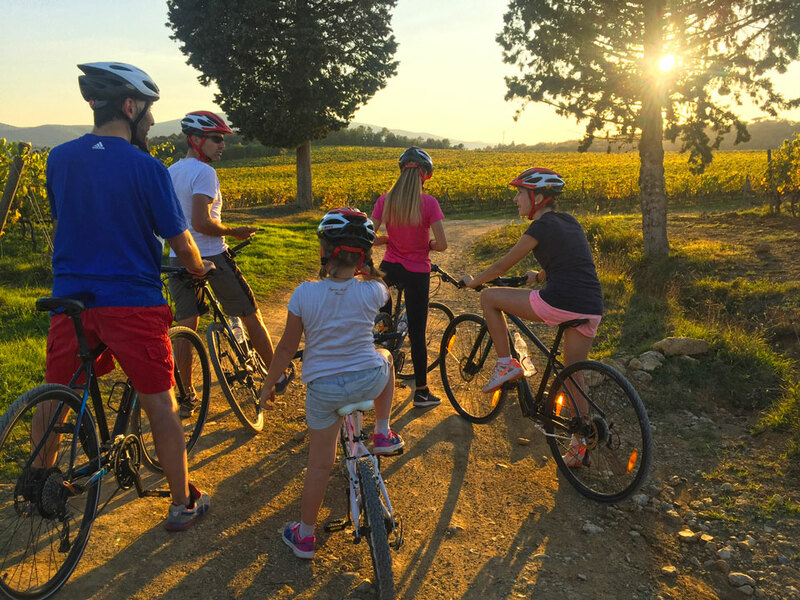 The customized itinerary for the Family Biking Tour is about getting the kids excited and interacting with everyone, yet still allowing the parents time to enjoy a landscape that has inspired artists and poets worldwide. And how about grandparents, aunts, uncles – once again absolutely – ask about our e-bikes. It is a joyous blend of natural beauty, everyday fun and the flavors of Tuscany. Depending on your special requests that means wine, cheese, and even gelato. Piero and Elena create a specific itin using your special requests and the limitations of the various members. They leave no one behind with the addition of a support van for those who prefer to tag along without missing the views. 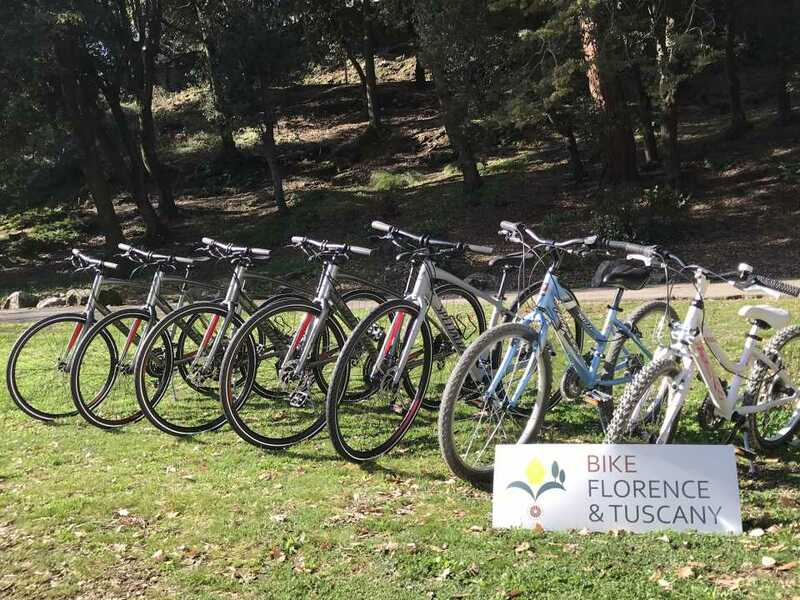 You will find that Bike Florence & Tuscany offers various solutions for bikers between their quality hybrid bikes and a selection of ebikes for select riders. Ebikes provide a wonderful solution for those who feel that pedalling the entire way might just take too much out of them. Piero and Elena have designed this tour with an extra eye towards having fun all together in a very safe context, helping family members of all ages find common ground, shared laughter and create brand new treasured memories. 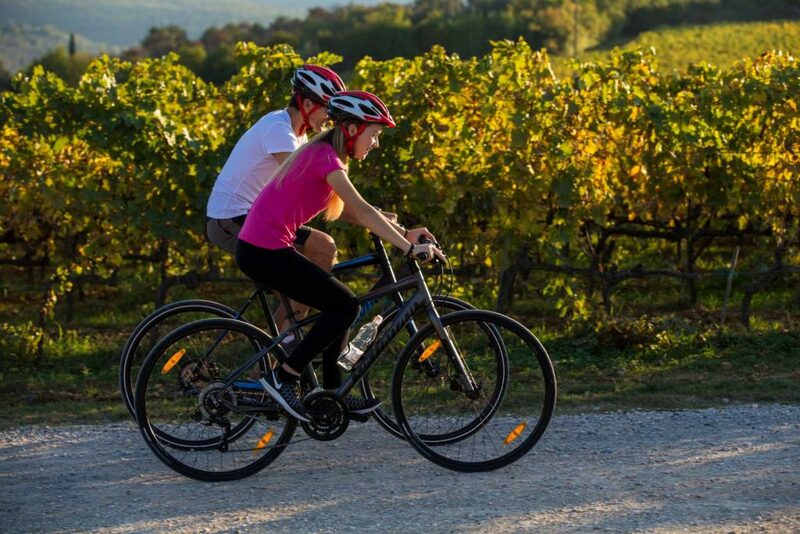 Now is the time to ask about organizing your exclusive itinerary on the Family Biking Tour. 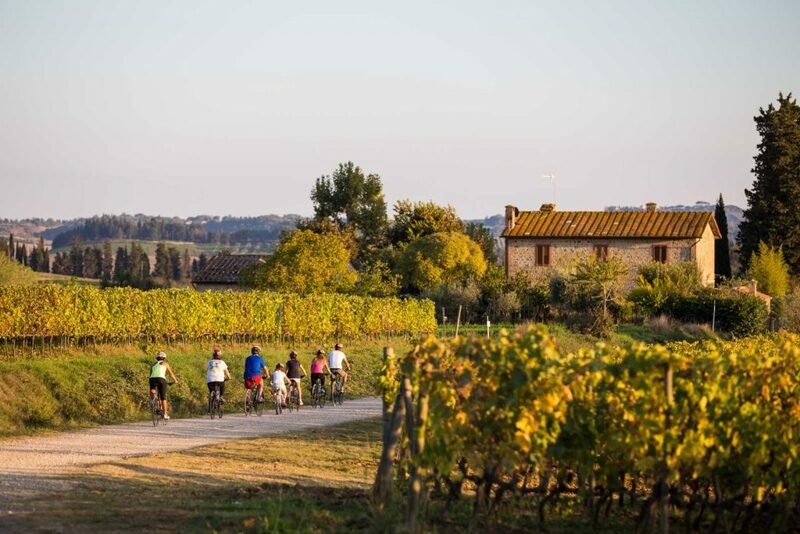 Let Bike Florence & Tuscany create a route which will include all of the things on your Tuscan Wish List: wine tasting, gelato fests, sunflower photos, medieval towns. 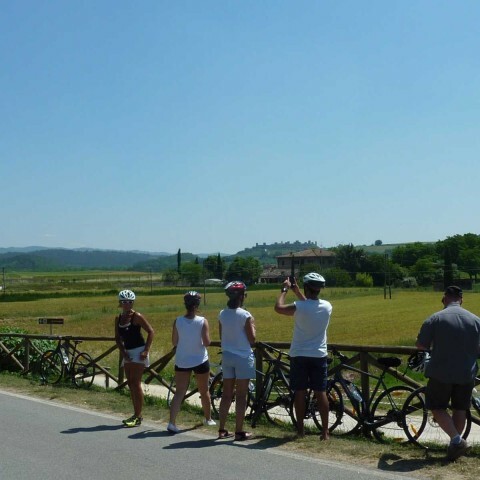 Read what other’s are saying about their family experience tour Tuscany by bike, and then let them take care of finding the best route to travel, getting you there and back with their support van and expert knowledge of the area.